As the festive season approaches we, as humans of the world, of many denominations and faiths, ‘come together’ with our family and friends to celebrate, to re-connect and to spend time amongst our nearest and dearest. While for many this can be a deeply enriching time of joyful reunions and comforting relaxation, into an environment of easy relationships, amongst those who know us best – and accept all of our faults and our foibles, sadly for others, it can be a more stressful time, where old ‘family wounds’ rear their heads and stress levels rise exponentially. Wherever you sit in these scenarios of social gatherings in the festive period, it is important to still make time for some precious and private introspection – this will help you preserve your inner-peace and to maintain positive and centered energy, so that you can relate, in the ways that you WISH to respond as a conscious, compassionate adult – rather than to react, as you may have done as a teenager, to old painful or embarrassing “triggers”. So this year – as you step forward, mindfully, into a higher, better state of “being” – here are 5 easy steps to ‘Cocoon’ yourself, to connect to your OWN self-care processes and inner-peace connection. (1) Begin each day with 5 minutes of quiet meditation or introspection: Watch your breathing move in and out of your body. Guide your breath to go deeper with each inhale, and to move more slowly out with each exhale. **If you have children, before you arise, even 5 rounds of conscious belly breathing will ‘drop’ you from your head, to your heart, and by placing your hands below the navel you will direct the breath to your parasympathetic (rest/digest/create/eliminate) side of the autonomic nervous system. (2) Move your body! Shake off the energy charges that arise from emotional triggers by doing some indoor yoga, physically “shaking it out” or going for a walk in mother nature, who transmutes and transforms energy constantly. (3) Practice heart-to-heart connections and give yourself a ‘digital detox.’ Ration your phone and screen usage to instead honestly and openly ask people how they are. In a time where “face-to-screen” time is so prevalent, feel how different this eye to eye contact feels, and how, with your heart-felt intention, it opens new pathways for more positive relationships and intra-familial relating. (4) Upload those photos later! Make “being” your practice – as a human BEING within your family or social space. You don’t need to be available to anyone other than who is with you right now. Pre-arrange a time for phone calls or video chats with other friends or family members who are not with you – determine to stick to it. (5) Choose or compose a mantra to maintain your Cocoon inner-peace state – enabling you at a cellular level, to constantly be in a place of regeneration and new possibilities. Now, lighting a candle, take 5 deep breaths and fill your heart with GRATITUDE. Then, repeat this mantra, or choose one of your own. And whenever you can – whenever you feel a moment of quietness, or MOST challenged by your surrounds, think of those less fortunate than yourself; for those who are alone, for our elderly citizens who go through this festive period without seeing another living soul, for parents who can not provide their children with the wishes and dreams so many children hope for at this time of year. Know that you are a unique and special human being, and that your compassion and understanding of the difficulties other people face mean that you are working towards your Life Purpose – being a conscious, compassionate and understanding human being who feels and empathises with those in less fortunate positions. So lets spread the inner-peace through compassion…. And may your hearts glow bright! At Ibiza Retreats, the abundance of colourful, locally produced, organic and seasonally available food we offer is an integral (and greatly enjoyed!) part of the retreat experience. We work with some of the best chefs and nutritionists on the island, who work together to bring the key elements of eating mindfully to our retreats. Here are our top 12 tips for mindful eating in day-to-day life, as prescribed by the lovely Anna King of Avocado Nutrition, who joins us for a nutritional talk on all of our Harmonise retreats. Always eat in a relaxed manner. Before you eat, pause and bring your attention to your plate and just breathe. Be mindful of the fact you are about to eat your food. Too many of us eat in a rush and when stressed. Bringing calmness into your body in this way, brings energy into your digestion so it can work more effectively. Try to choose an appropriate environment to eat in. Rather than eating at your desk or in front of the TV, honour your meal times by eating at the table with friends or family or go to a park or green space to be more present. Food is information for your body. If we give it good information it works well, if we give it poor information things can go wrong. Eat as nature intended and the information will always be better than man-made processed ‘food’ and chemicals. Look at your plate – do you see colour? The different colours in fruit and vegetables provide different phytonutrients. Aim to ‘eat a rainbow’ every day. You will notice that when your plate is regularly filled with fresh vibrant colours that it is more pleasurable for the eye and mind than brown and white food that so often dominates our diets now. Digestion begins in the mouth. Savour every mouthful. Chew, chew, chew. This way you are being kinder on your digestive system but you will also start to appreciate flavours and textures more. There are so many different types of diets out there. We are all different. There is no one size fits all. One person’s food is another person’s poison. Don’t ignore the signs and symptoms of things not being quite right. Listen to your body and the messages it is trying to send you. Invest time in nourishing yourself. Build a healthy relationship with food. We only have one body and good health is the richest form of wealth. Don’t shop whilst hungry – or ‘hangry’ as I say. Plan and prepare, wherever possible, to stay ahead of your hunger and make more healthful decisions. Small habits lead to big changes. We can tend to have this all or nothing mentality. Start slowly and build up gradually adding a new habit only once another is in place. Consistency is what matters. Fluctuating between extreme diets to eating junk is not healthy. Move away from the idea of a ‘diet’ and instead work towards a long-term, sustainable and healthy way of eating. Be a conscious consumer where you can – avoid unnecessary packaging and plastic, choose seasonally available produce & support local organic farmers wherever possible. The quality and freshness of the food impacts on our body & the environment – both of which we need to look after. Don’t forget to feed your gut bacteria. They are called friendly bacteria for a reason! Those guys are there to support our health. Eat fermented foods regularly and prebiotic foods such as onions, garlic and leeks. If you take care of the little guys they will take care of you. Food joy is important. Don’t deprive yourself, ban foods or attach guilt to eating ‘naughty’ foods. If you like a little treat experiment with making more nutritious versions of it – get creative and fun in the kitchen. Spring is the start of salad season! This is one of the most popular salads we serve up regularly on our retreats. Mixed Salad with cashew & basil dressing, by the lovely Mayla at Conscious Food Ibiza. 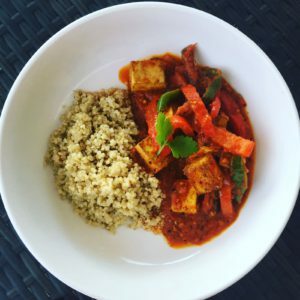 Simple to make, really tasty and satisfying too – clean eating at its best! The romano salad has to be chopped very fine and then you mix it in a big bowl with the spinach and the arugula. Cook the beetroots in whole peaces for 5 minutes. After you spiral them in the spiralizer ( if you don’t have a spiralizer rasp the beetroots) Then you can mix all the ingredients with the green leaves in the bowl. On top you put the alfalfa and the seeds. If you have some edible flowers on top that would be lovely. Mix the cashews in the blender till it is a powder, than you ad all the other ingredients and blend it till it is creamy and smooth.Ready to Serve! https://ibizaretreats.com/wp-content/uploads/2017/04/File-11-04-2017-10-59-04.png 640 1136 Ibiza Retreats https://ibizaretreats.com/wp-content/uploads/2018/02/ibiza-retreats-trans-300x138.png Ibiza Retreats2017-04-11 09:04:372017-04-11 09:04:37Spring is the start of salad season! Is it a retro-type dish from your childhood, something like eggs, chips and beans, or a pile of buttery mash with sausages and gravy? Is it traditional fish and chips or a Sunday Roast? Or maybe something sweeter like sticky toffee pudding, or apple crumble and custard? As people become ever more nutritionally aware and more in-tune with the benefits of healthy and balanced eating, then the concept of what constitutes ‘comfort food’ is also changing. We’ve had a longer and harsher than usual Winter here in Ibiza, and cosy comfort food has been a hot topic of conversation! As more time has been spent curled up in front of fires, the desire for comfort food has been greater than ever, BUT – with the over-indulgent Christmas period a distant memory and Spring just around the corner, healthy eating is also back to the top of the agenda. This gorgeous Vegan Balti recipe is a perfect example of healthy, hearty comfort eating, that will fuel your body, feed your soul and leave you feeling brimful of satisfaction. With powerhouse spices, turmeric and cayenne pepper for added anti-oxidant goodness to help fight off Winter colds, and peppers, coriander, garam masala and cardamon for that authentic Balti flavour, this vegan curry hits all the right notes and is super-simple to make too! This delicious recipe is from Lisa Strong, of Strong4Life Nutrition. Lisa is a Retreat chef and Nutritional Advisor from our very own Ibiza Retreats family. 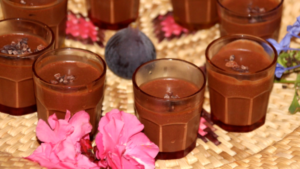 Come and experience Lisa’s fabulous hearty and nourishing food on our Rejuvenate and Get Glowing retreats this Summer. Check out our full Retreat Calendar here. Heat 1 tsp oil over medium heat add peppers and cook for around 3-4 minutes, then remove & set aside. Add tempeh & garam masala to same pan cook for 3 -4 minutes and set aside. Heat remaining oil add the seeds for 3 mins until fragrant then add onion, garlic, ginger & ¼ tsp salt. Cook until onion is translucent stir occasionally around 12 minutes. Then add turmeric, cinnamon, paprika, cayenne & tinned tomatoes. Cook until tomatoes are slightly saucy around 3-4 mins. Combine the onion tomato mixture in blender with ½ cup of the water with the lime juice and blend until smooth. Add the sauce, remaining water, palm sugar & salt to the pan with the tempeh and peppers and simmer down for around 20 minutes. Garnish with Coriander…. Tastes even better the day after. I serve mine with quinoa. https://ibizaretreats.com/wp-content/uploads/2017/02/IMG_8727.png 640 1136 Ibiza Retreats https://ibizaretreats.com/wp-content/uploads/2018/02/ibiza-retreats-trans-300x138.png Ibiza Retreats2017-02-20 17:55:552017-02-21 12:16:32For the Love of Chocolate; raw vegan chocolate mousse.